Most science books are shockingly boring. Not this one! 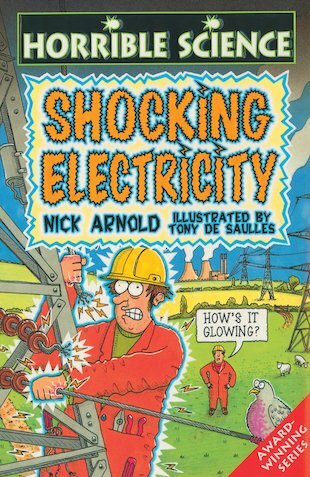 It’s simply sizzling with zippy, zappy facts to electrify you! Have you heard about the scientist who gave electric shocks to his eyeballs? Do you know that lightning can strike you with heat five times hotter than the sun? Would you swim with a scary electric eel and get the shock of your life? Or with the hungry Hammerhead shark, which can sense electricity and use it to track down its victims? Did you know that there’s enough electricity in your body to light up the fairy lights on a Christmas tree? And could you imagine being Jacqueline Priestman, the woman with so much electricity inside her that she made power sockets explode?